I am MIT’s Dean for Student Life, not a writer. But when the Alumni Association asked me to be a regular contributor to this blog—today is my first post—I had an atypical type of writer’s block. I wasn’t worried about being unable to write. Rather, there was too much to write about. How could I choose a subject from all the astonishing, inspiring, and unique things that happen every day in the Division of Student Life ? After just over a year here, I realize it’s a problem that’s not likely to go away. So my goal is to share with you, over time, as many great stories as I can from the MIT community. First up: the Hobby Shop. The Hobby Shop is a special place, but you don’t have to take my word for it. Just ask Theis Clarke SM ’04, PhD ’08 and Catherine Lee, who works in the MIT investment management office. Theis and Catherine were in the basement of W31 last week with a photographer to take their engagement photos because the Hobby Shop is where they met. At a chisel mortiser. 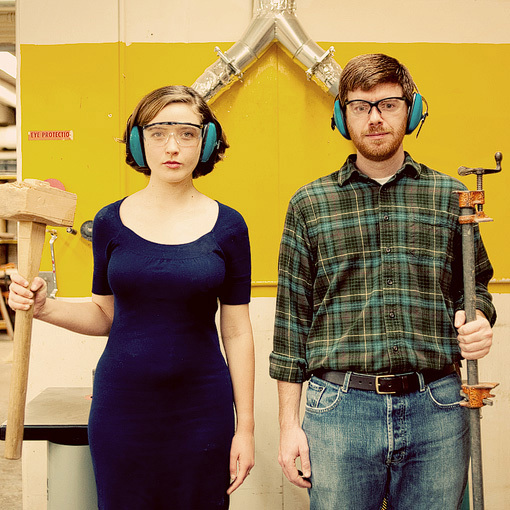 They’ll be married next summer right around the time of the furniture conference. We wish them well, even though we know we don’t have to: things made in the Hobby Shop are built to last. Sommelier Patrick serving champagne at the Restaurant le Grand Vefour, Paris (© Owen Franken). Studying war-torn Afghanistan, Fotini Christia, assistant professor of political science, challenges the view that diversity in religion or ethnicity leads inevitably to sharply drawn civil wars. In her field research with Afghanistan warlords, Christia is examining how regional or tribal leaders sometimes flip from warring against neighboring groups to forging alliances with these same neighbors. Under certain conditions, she finds, groups can overlook longstanding grievances and form new, supportive alliances, according to a recent article in Soundings, published by the MIT School of Humanities, Arts, & Social Sciences. Her findings have implications for U.S. policy and for the future of peace in the region. “Groups are driven by balance-of-power considerations,” says Christia. “That means that, as relative power changes, so do alliances. Groups then come up with narratives and stories about why they make the alliances they do.” Read the article for more on her research. Here’s something I imagine Professor Yet-Ming Chiang ’80, ScD ’85 is thankful for this year. He was chosen as one of seven World’s Most Powerful Innovators by Lemelson-MIT Program Director and Professor Michael Cima for Forbes magazine. The seven were chosen for their curiosity, empathy, and leadership. Chiang, who teaches materials science and engineering at MIT, developed an advanced lithium-ion battery that lasts longer than the traditional type and recharges quickly. It’s been hailed as a breakthrough for powering automobiles and power tools. The company he cofounded in 2001, A123 Systems, went public in September and is now worth more than $1 billion. According to Forbes, Chiang himself drives a Toyota Prius outfitted with his invention that can get more than 100 miles per gallon, twice that of a typical Prius. Learn more about Chiang. And, on Forbes’ list of the World’s Most Powerful People, alumnus and Federal Reserve Chairman Ben Bernanke PhD ’79 ranks fourth, behind President Obama, Chinese President Hu Jintao, and Russian Prime Minister Vladimir Putin. Not bad. Not bad at all. Teresa Huang ’97 was just helping out a friend in 1998 when she auditioned for a play as part of MIT Dramashop’s Playwrights in Performance event, which showcases student writers and directors. She scored the lead and found her calling. Now, Huang lives in Los Angeles building her acting and writing resume in the television industry. She’s had numerous roles in shows such as ER, The West Wing, and Cold Case and landed her first recurring role on the 2007-08 FX show The Riches, which starred Minnie Driver and Eddie Izzard. 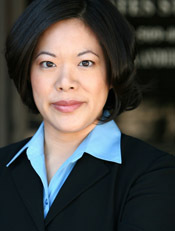 Huang played Izzard’s assistant Kimmie in nine episodes. While the show was mostly drama, her scenes often provided some levity, an opportunity she enjoyed. The episodes are available on Hulu. 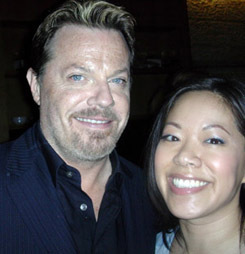 Eddie Izzard and Teresa Huang. Huang played Izzard's assistant on The Riches. After an initial setback with his suit yesterday—a valve came off his drink bag but was easily re-affixed—alumnus Robert Satcher and one other astronaut set out on the International Space Station for their third and final spacewalk. The astronauts have been on the space station since November 18th, with the mission of installing an enormous oxygen tank and setting up several experiments. Tomorrow the seven-person crew will wrap up work and depart the station. According to NASA, they are expected to land at Kennedy Space Center on Friday. Scroll down to see images of Robert Satcher ’86, PhD ’93 as he prepared for and then began carrying out mission STS-129. All images courtesy of NASA. 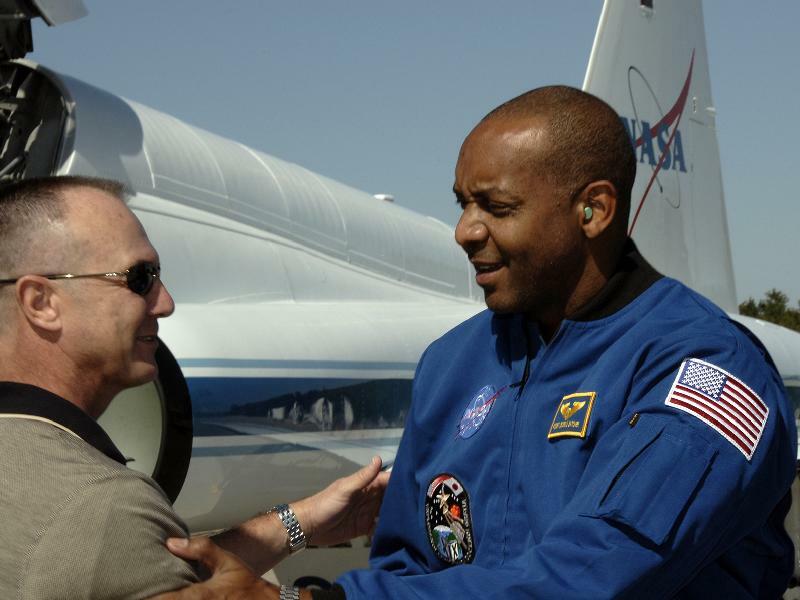 Mission Specialist Robert L. Satcher Jr. is greeted by Mission Lead Mike Menard at the shuttle landing facility at Kennedy Space Center. 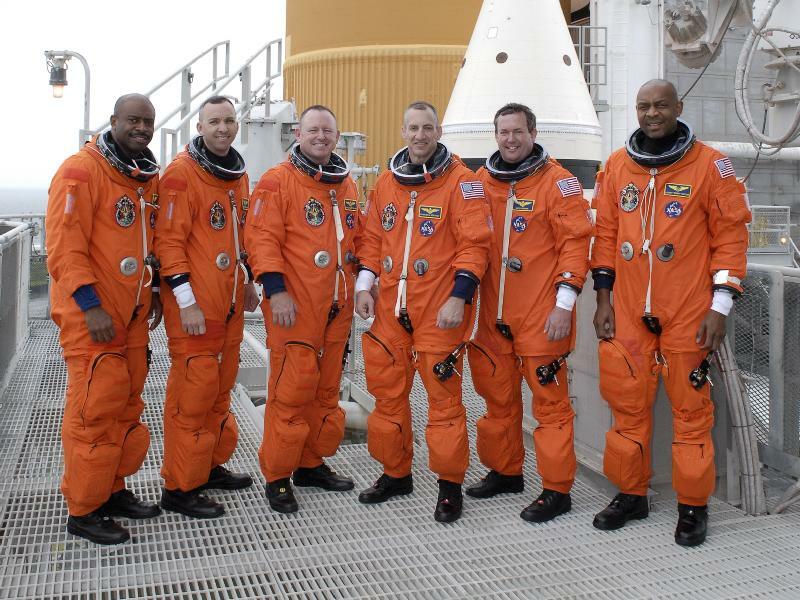 The STS-129 crew (Robert Satcher, far right). 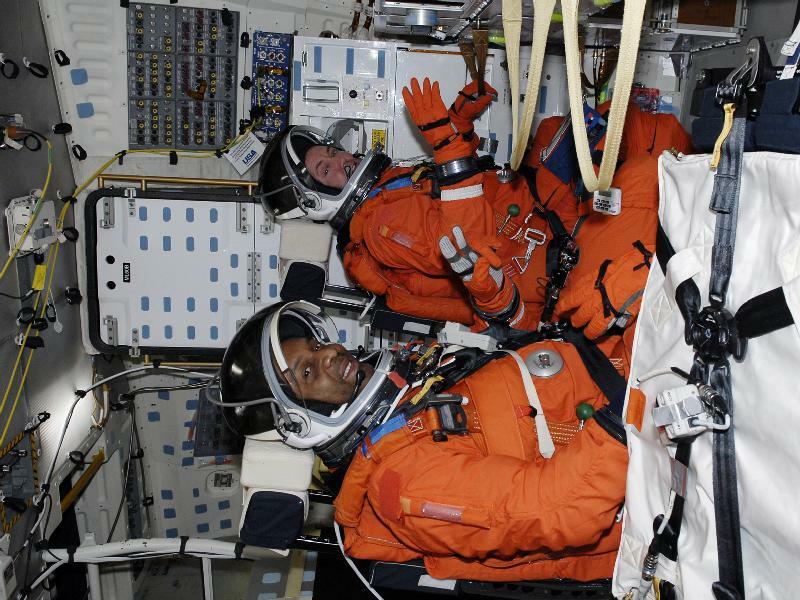 Aboard Atlantis, Mike Foreman, top, and Robert Satcher are dressed in their launch-and-entry suits and strapped to their seats. 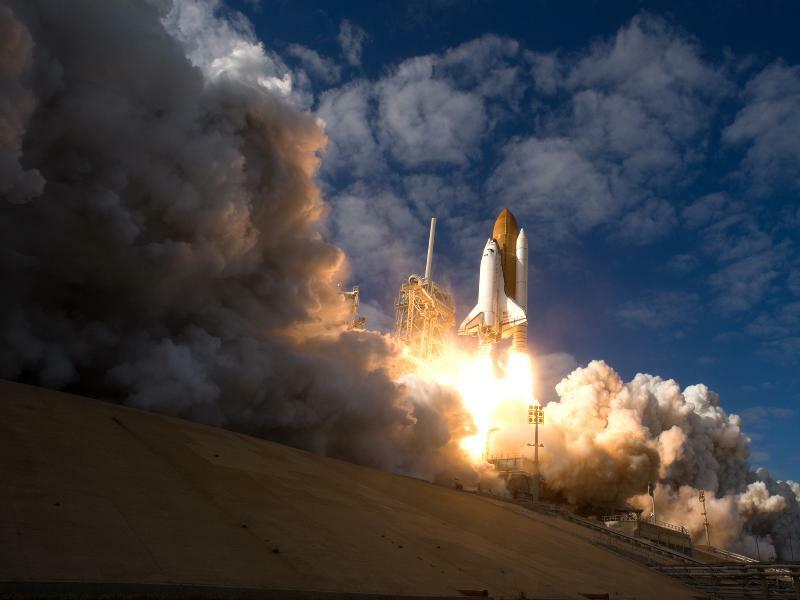 Atlantis launched at 2:28 p.m. EST Nov. 16. 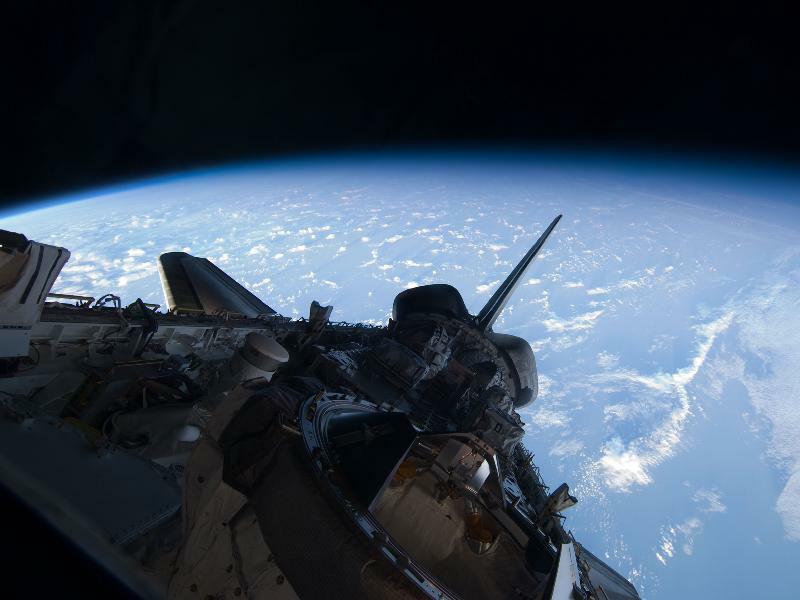 A partial view of Atlantis' payload bay, back-dropped by Earth's horizon. 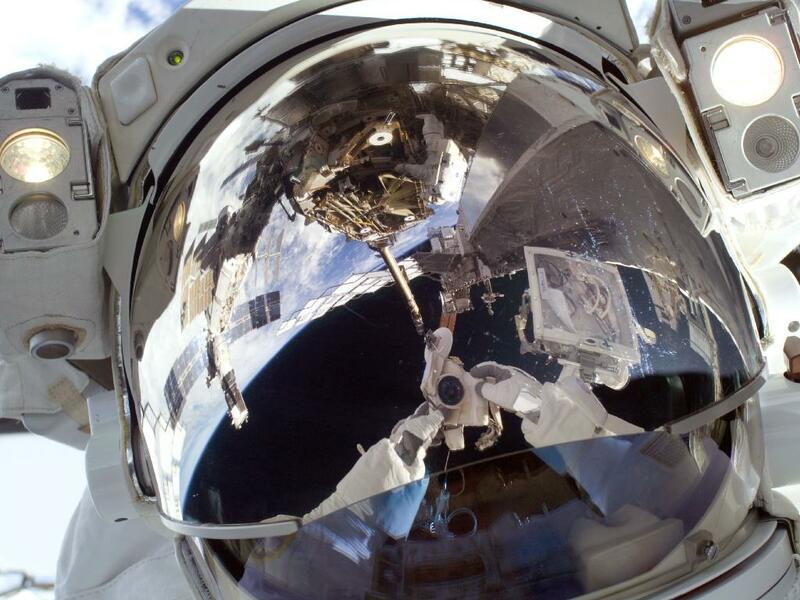 Robert Satcher used a digital still camera to take a self-portrait during the mission’s first spacewalk. 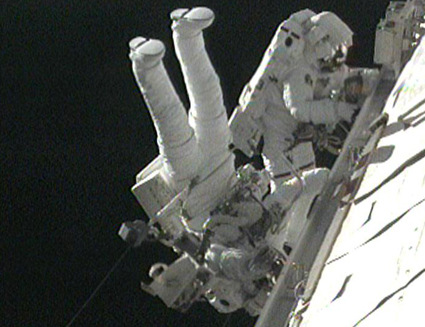 Robert Satcher and Randy Bresnik work outside of the International Space Station during the final spacewalk. Can Parking Garages Be Beautiful? Parking garages are rarely compared to works of art. Consumers are more likely to think of them as unsightly yet convenient, clunky but inevitable. However a new exhibit at the National Building Museum may flip that thinking, in part, because it showcases the work of architect Harry Wolf ’60. House of Cars: Innovation and the Parking Garage, on display through July 11, 2010, features the Walt Disney Arrival Building and Parking Structure in Anaheim, CA (Mickey & Friends Parking Structure). The garage, which holds 10,500 cars, was the world’s largest parking structure when it was constructed in 1998…and may still be. Wolf’s unusual design for the University of California, San Diego Revelle Parking Structure is an enormous urn, 316 feet in diameter. The circular building, which seems to recede from the viewer, reduces the sense of mass and suggests motion. The green project is naturally ventilated with courts bringing sunlight even to the lowest levels. Hmmmm…the parking garage as beautiful and green.